Explore how literature and the media shape our culture and society. At Sussex, you examine the relationship between literary work and other cultural forms, and analyse different media. You’re taught by researchers who produce documentaries, films and books. You can shape your studies according to your interests and will be taught to produce your own critical and creative response to the world. We offer a bold, forward-thinking curriculum that allows you to study 1,000 years of literature in new and progressive ways. We encourage you to experiment with writing and understand its ability to transform the world we live in. And with 24/7 access to specialist facilities – including a news room, edit suites and a sound-proofed studio – you can access the equipment you need whenever suits you. Brighton is one of the UK’s fastest growing hubs for digital and creative media – perfect for your work experience and career opportunities. 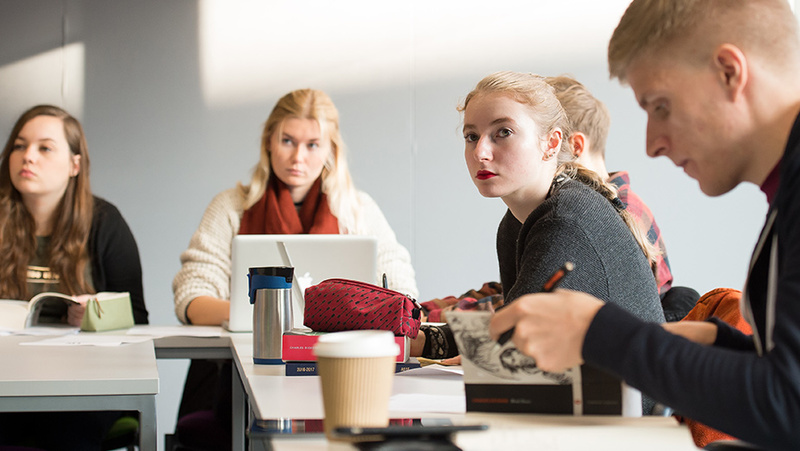 Studying English and Media Studies at Sussex means you develop transferable skills in critical analysis, verbal and written communication, independent thinking and creativity. Sussex hosts tailored careers events, including workshops, talks and regular drop-in sessions. You continue to receive careers support after graduation.